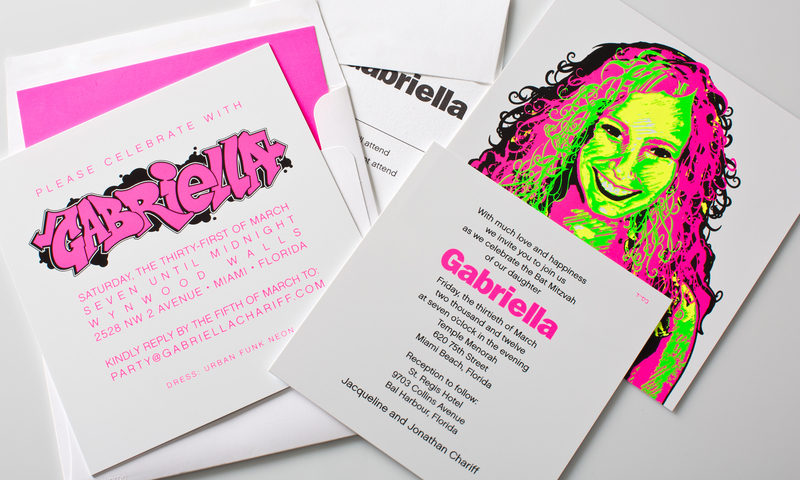 A custom graffiti portrait on white plastic made an edgy, festive invitation for Gabriella’s bat mitzvah celebration. The reverse side had party details with a coordinating graffiti name. 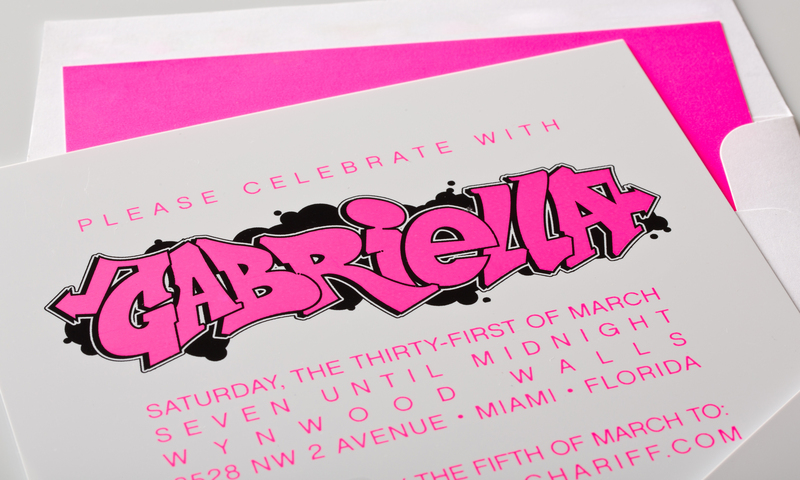 Enclosed in the same envelope was a ceremony card with clean modern text in matching neon pink, black and white.